Ray Enterprises happens to be a next generation consumer technology company, and they have rightfully made an announcement that is on par with their company’s stature – that is, their Ray Super Remote being able to function with the Nest Learning Thermostat in order to provide Ray customers with control of their homes, and this control will go beyond the living room to boot. 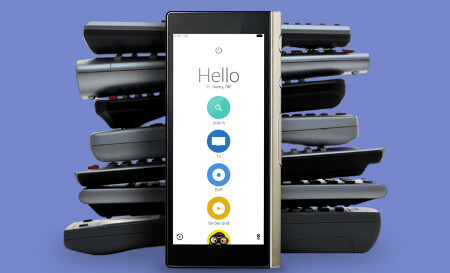 Ray happens to be an intuitive, touchscreen universal remote that looks and feels like a smartphone, and yet is full well capable of controlling thousands of devices, while providing recommendations on what to watch on TV. The remote would play nice with the Nest Thermostat as well via a new app developed by Ray, which was exclusively created for the remote itself. Nest happens to be Ray’s first integration with a device for the home, where such a connection would enable Ray customers to control the Nest Thermostat straight from their Ray remote. Being created through the Works with Nest program, the app will allow users to log in with their Nest account in order to view all of their structures, as well as set Home/Away mode for any structure, check out the thermostats in each structure, and control the temperature and HVAC mode of all of their thermostats. The Ray app for the Nest Thermostat is now readily available for all Ray customers – and it will not cost you a single cent more to boot. The app has already been released via a software update that has been automatically sent to all Ray remotes. The Ray Super Remote will make use of Wi-Fi, Bluetooth and infrared to hook up to and control thousands of devices including TVs, set-top boxes, AV receivers, Apple TV, Roku, and Xbox, among others. Those who are interested can check out Ray that currently retails for $249 pop.